The da Vinci Surgical System was approved by the FDA in 2000 and has risen in popularity since then. It’s the only successful robotic surgery equipment that performs procedures like hysterectomies, prostatectomies, and other urologic and gynecological procedures. There’s been a fair amount of debate about the value of robotic surgery and whether the advantages really outweigh the risks. Here we’ll take a look at both the pros and cons of da Vinci robotic surgery. Better precision: The doctor sits at a computer screen that magnifies all the intricacies of the surgery, allowing them to see much more clearly. They can also reach things more easily with the small robotic arms than with the average human hand. Faster recovery time: Robotic surgeries are less invasive than other types of surgery, so recovery time is usually shorter. Less blood loss: The incision required for robotic surgeries is much smaller than typical surgeries, so less blood is lost during the procedure. Less scarring: Because the incision for robotic surgery is considerably smaller, the scar is much less noticeable. 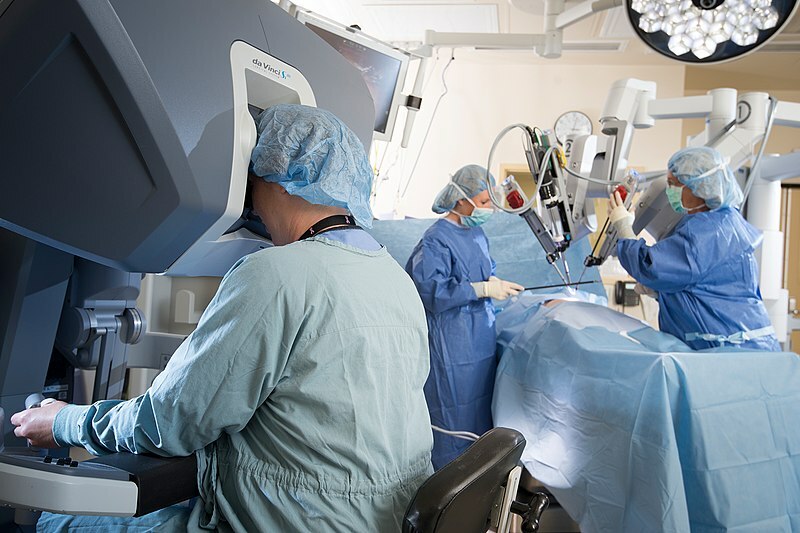 Device malfunction: Although this risk is very rare, there are those times when a robotic machine can malfunction and cause more serious problems during surgery. In these rare instances, doctors have to quickly perform another type of operation to correct the damage and fix the original issue. Possible burns, cuts or tears to surrounding organs: There’s another slight risk of the robotic hand getting too close to another organ during surgery, causing damage. Because of the precision of the da Vinci systems, this complication is also very rare. Doctor lacking in experience: Most complications, if any, stem from a doctor’s lack of experience performing da Vinci robotic surgeries. If you decide to have a procedure done robotically, one of the most important things is to make sure your doctor has ample experience. The gynecologists at All About Women are the leading experts in da Vinci robotic hysterectomies in the northern Florida area. Dr. Anthony Agrios has been trained in advanced techniques and is now chairman of the hospital-wide robotics committee. If you have any questions or concerns about da Vinci robotic surgeries for women, make an appointment with one of our physicians today.